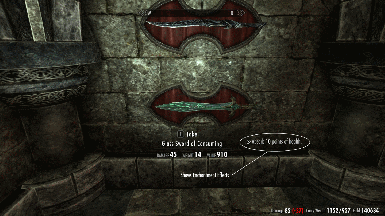 Weapon and armor effect descriptions now take priority over generic weapon and armor descriptions. 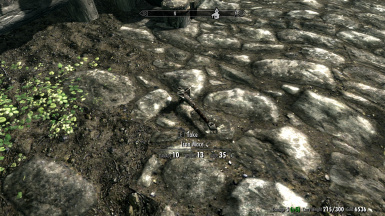 This addresses the duplicate description bug with a few weapons and armor. 2. Reloads the settings to the widgets on startup after the SkyUI widget manager loads to hopefully fix loading issues for some. 3. 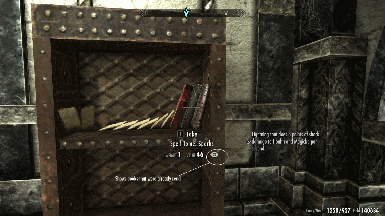 Added an option to show skill book skills before reading (Disabled by default). 7. If Less Intrusive HUD II is installed, moreHUD will now hide the widgets when LIHII hides the vanilla widgets after ~5 seconds. 8. Added the ability to hide the widgets while in combat. Now is compatible with iHUD. These video are for older versions of moreHUD. Thank you to those that have created these videos! 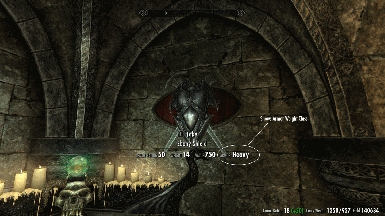 This mod adds HUD information that Skyrim has been severely lacking. 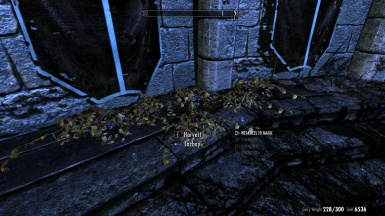 This mod display information about an object that the player is targeting. 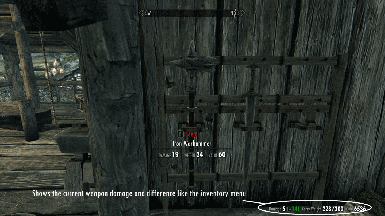 Now I can target an object such as a weapon, piece of armor, or an ingredient and see information about the object. In addition, I can see what my carry weight is so I no longer have to guess to find out later that I am carrying too much. This mod is simple in concept, but I have spent a lot of time working on it. I originally tried creating this mod from papyrus but found that the papyrus scripting was way too slow to handle the hud targeting. So I had to create a SKSE plugin to accomplish my goals, so thanks a lot SKSE team! The papyrus scripting is very light. Most of the code implementation is in the SKSE plugin and the SWF HUD file that is included with this mod. The papyrus scripting is only used for hotkey events and for passing parameters to the widgets. There are no OnUpdate events. 1. This Mod Requires SKSE Version 1.6.16 or Greater found here. 2. 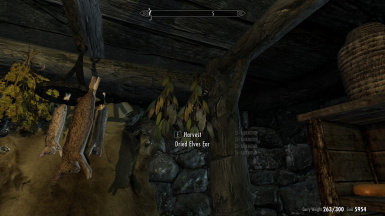 This Mod Requires SkyUI Version 4.1 or Greater found here (for MCM only). It is recommended that you download and install with Nexus Mod Manager. 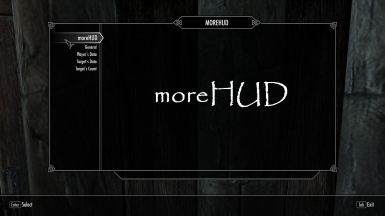 To remove, go to the moreHUD MCM menu, and choose 'Uninstall' then exit the MCM menu. Then save your game and remove the mod. 1. 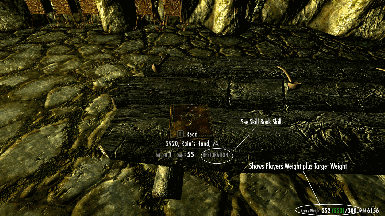 Less Intrusive HUD is not able to position these widgets, but moreHUD gives the options to move the widgets in the MCM menu. 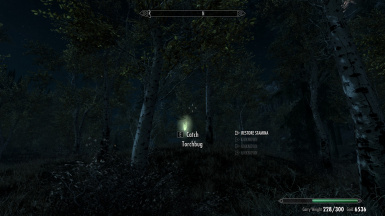 This mod should be compatible with most everything else that does not modify the HUD since there are no leveled list and very few papyrus scripting, etc. I have even taken the extra time to be compatible with Harvest Overhaul found here. If you do find any incompatibilities please let me know. 1. 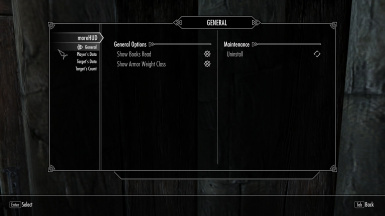 Sometimes the total armor rating does not match the vanilla's armor rating found in the inventory menu by 1. I suspect there is a rounding issues with the vanilla's display value. 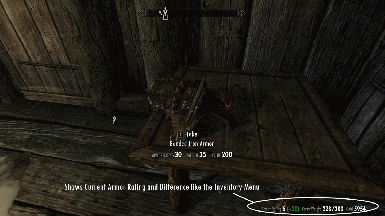 The value that this mod displays DOES equal to the total armor rating for all the equipped armor, so who knows. 4. 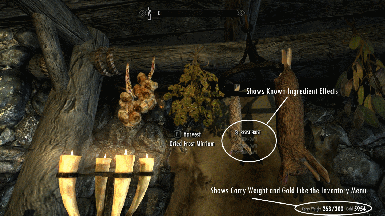 The weight for unharvested ingredients is not displayed because I have not found a reliable way of predicting how many ingredients the flora or tree will yield when using leveled lists (Harvest Overhaul). I may look into this later. Those that help with finding bugs!